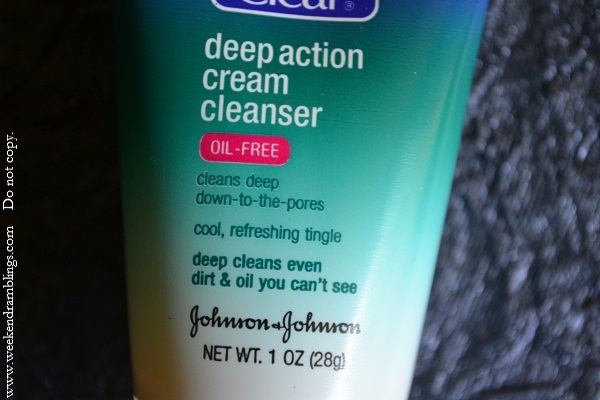 Deep Action Cream Cleanser removes dirt, oil and make-up deep down to the pores as you wash. Its oil-free formula won’t clog your pores and a special cooling ingredient leaves your skin feeling refreshed and clean. 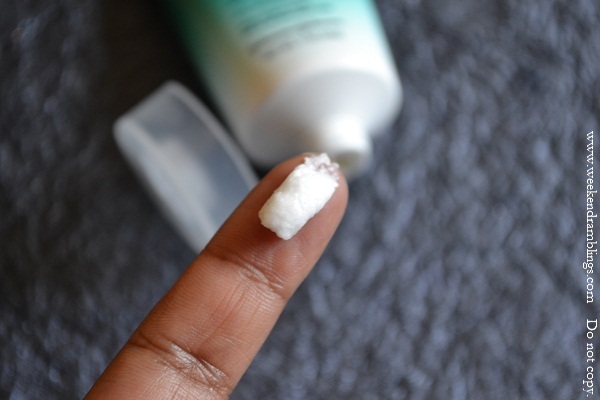 I have combination-oily skin, and I am always on the lookout for cream cleansers since they seem to work better for me - removing the shine from my face while not really drying out my skin. 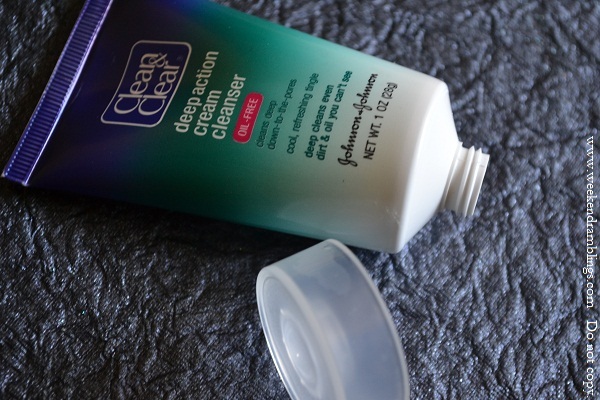 This was the reason I picked up the Clean and Clear cream cleanser, but my experience with it has not been that great. I picked up a smaller size tube for trial (thankfully! ), and the packaging is perfect for carrying around in the bag. The product itself is a white, creamy cleanser with a smell that seems to have compontents of Vicks, eucalyptus, and menthol and leaves a slightly tingling sensation on the skin. It doesn't, however, irritate my eyes, though I haven't really gotten it into my eyes. I didn't like the smell very much, but I won't have had a problem with that if the product worked. The cleanser does not seem to lather at all, and at least on my skin, it did not seem to be doing any much cleansing. It's okay on the drier portions of my face, but on the oilier areas, it seems to leave the skin just as oily as it was before cleansing. 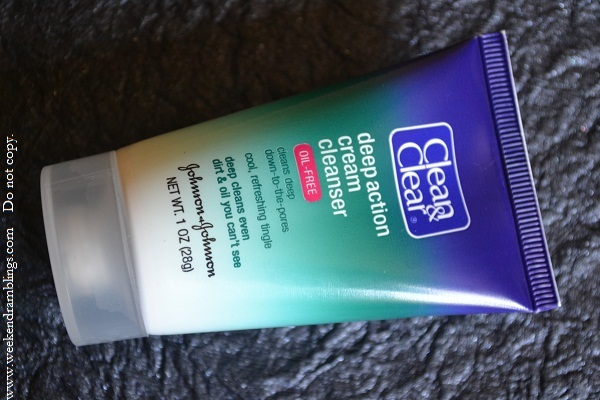 I stay at home most of the day and a mild cleanser is quite sufficient for me, but I do like a clean feel to my skin and I did not get it with this cleanser. 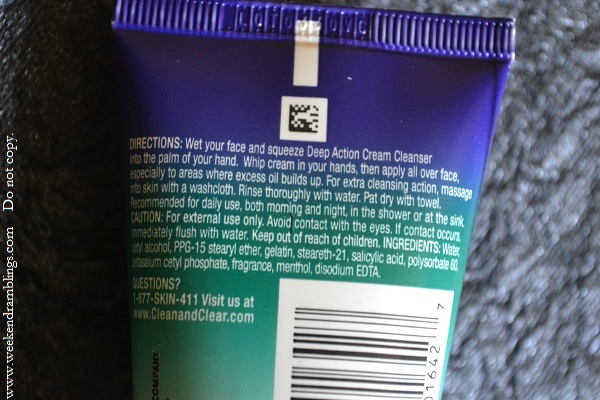 I didn't use it long enough to see if it caused any breakouts - not interested in finding that out. It is gentle and does not dry out the skin, so while I will definitely not be buying this again, I guess it might work for someone with drier skin.